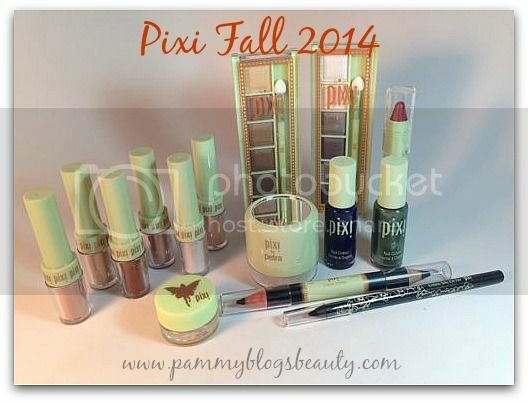 Pammy Blogs Beauty: Fall 2014 Collection from Pixi Beauty! 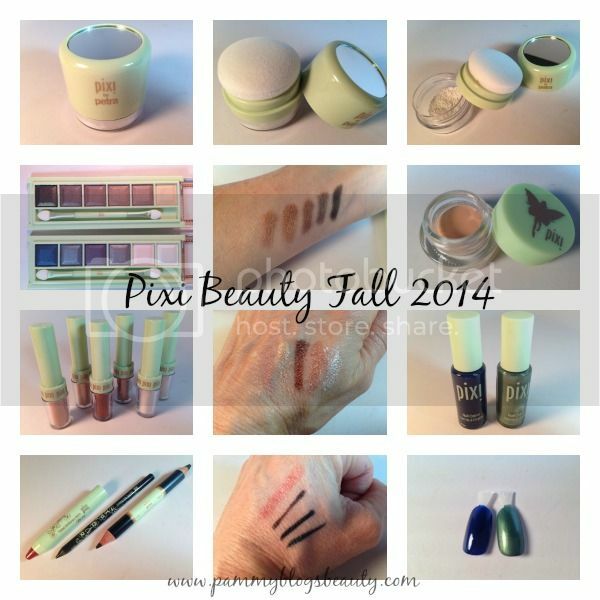 Fall 2014 Collection from Pixi Beauty! It is time to talk about some Fall Makeup! Sure, the weather is still really flippin hot here in GA.. However, my makeup is slowly transitioning to the Fall Collections in anticipation of cooler days ahead! Pixi Beauty, one of my all-time favorite mid-priced cosmetics lines (available at Target), knocked this collection outta the park with some fabulous line extensions, new colors, and newly released products! 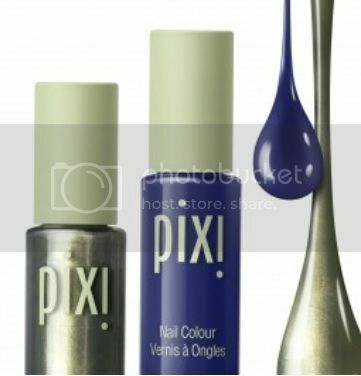 Pixi Nail Colour: New Shades: Imperial Blue and Olive Gold: $8.00 each: Both of these shades are must-haves and completely unique! Yes, I am obcessed with not only the Endless Silky Eye Pens from Pixi, but also this particular shade! Glimmery Back is a gorgeous decadent black infused with silver micro glimmer. So pretty! These glide right on with total ease giving solid budge-free color. These pencil "pens" (it is like a gel formula in a pencil form) do not smudge nor transfer...even with my watery eyes! Amazing!!! Nothing thrills me more than a full-coverage concealer for the under eye area! Pixi really has the whole under-eye concealing thing down pat. I am already a huge fan of their Correction Concentrate (peach toned-to combat purple toned dark areas). Well, this new Concealing Concentrate has a yellow undertone (the actual shade name is "Adaptable Beige"). Yellow helps conceal redness. My dark under eye circles are a mix of purple tones and redness. So, this works well for me! 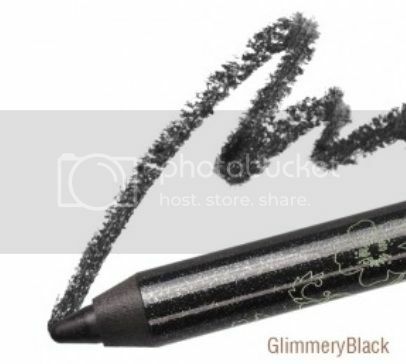 This product is thick and pigmented. Yet, it is also creamy enough for good blending. I highly recommend both of Pixi's Correctors! 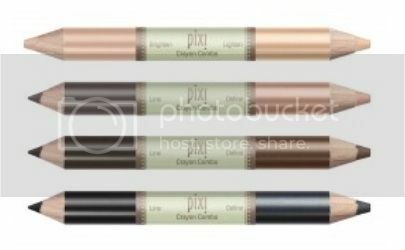 Pixi has 4 new shades of their Crayon Combos! Crayon Combos are chubby pencil liners with dual ends. Each end has a different shade. I love the convenience of these as I often use more than one shade around my eyes. I tried out the shade Super Smoky which is a matte rich black on one side and a gunmetal grey shade on the other. What a great little invention. I love innovative beauty products! What is it? It is a loose colorless/translucent powder packaged in a super unique jar/applicator. The jar/applicator is a screw top container with the powder underneath with a sponge on top. The loose powder is distributed through the sponge. So, you can apply it without opening the jar with the loose powder. Just pop off the mirrored cap and use the sponge to apply the powder directly to your face. The best part? The powder is super fine milled to give you a flawless and finished look. I think that this is a fabulous product for those of us who love loose powder but hate the mess (me!). Plus, this is a loose powder that you can either travel with or put in your purse for touch ups with no loose powder spillage or mess. Such a great idea! 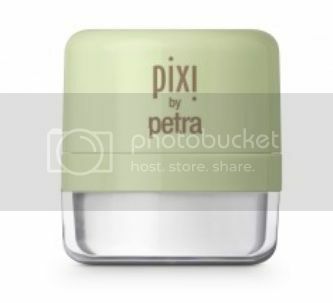 I am so excited that Pixi expanded their line of Pixi Fairy dust! These are super shimmery and richly pigmented loose pigment powders. Natural Mica pigments provide the shimmer. The packaging is unique: the applicator wand dips right into the loose powder. The shape of the tip is much like a q-tip. So, it is easy to apply this powder right from the tip of the applicator. The size and shape lends itself well to inner corner application and lash line application. These powders pack in amazing shimmer!!! I personally love shimmery eye shadows for my lids and along my lash line and inner corner. So, I really adore using these!!! My only critique is that these fairy dusts, like all loose pigment powers, are quite messy. I always end up with a bit of powder scattered about on my makeup area after applying. Also, you may get fall-out on your face from the wand when you apply. The best way to avoid this spillage is to store this product upright. I will fully admit that I store mine sideways and this contributes to the spillage issue. That point aside, these powders are really beautiful! I tried out two new shades of the Mesmerizing Mineral Palettes: Silver Sky and Rich Gold. I am already a fan of these little palettes from previous versions that I have tried. These palettes are super slim. So, they are perfect for travel or just general storage (I am very short on space in my vanity/storage area. So, I always appreciate a product that does not have clunky/bulky packaging). The pigmentation and texture of the shadows is very nice. 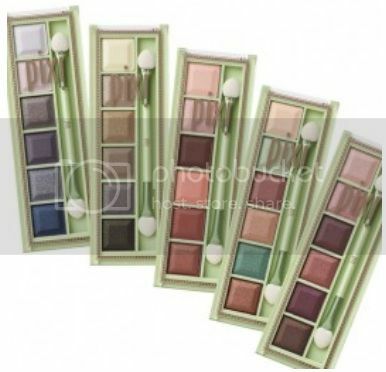 They are soft shadows with medium-rich pigmentation. They blend beautifully, too, and have a shimmery/metallic finish. Silver Sky is my favorite of the two with its cool-toned shadows ranging from a shimmery white highlight to a deep/dark navy (beautiful as a liner shadow!). Rich Gold contains warm neutral tones ranging from a lovely vanilla highlight to a deep coppery brown liner shade. You can create beautiful and complete looks using each palette. Love these! Pixi Nail Colour: New Shades! Pixi expands their nail polish collection each season to keep up with all the nail trends! This season, they added 4 new shades. I tried two of them: Imperial Blue (Deepest Navy Blue) and Olive Gold (Luminous Olive with Golden Shimmer). These two shades are the perfect way to update your nail look for the change of season. Both are instant classics for Fall/Winter! These shades also coordinate well together if you want to combine them for tips/toes or nail art looks. Pixi polishes, in general, are great. They dry quickly, give great coverage in 2 coats, and have above average wear (on me, that is 4 or more days without chipping as I am "hard on my nails"). 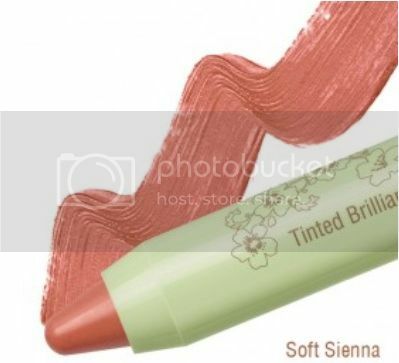 Pixi has a new shade in their Brilliance Balm collection: Soft Sienna! I adore Pixi's Brilliance Balms. They are so easy to wear! They are chubby pencil-style lip crayons. They apply like a hydrating gel balm that leave behind a tint/stain. Soft Sienna is a lovely sheer warm coppery color that is lovely for fall! At first I thought it would be too warm toned for me. However, it really looks lovely and is sheer enough to work for my coloring. Plus, I love how hydrating this balm is! 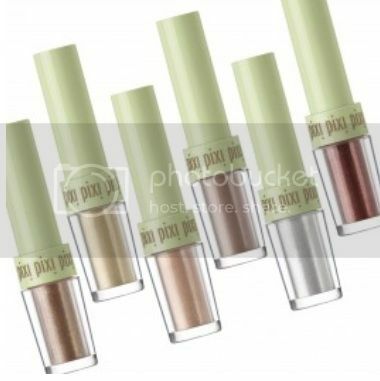 What do you think of the assortment of new Pixi products for Fall 2014? What are you eager to try? I most wish to try the Quick Fix Powder. The concealer looks good too. @mousewings-The powder is great! :) Love the packaging!!! Wonderful post!! Thank you for all the detail! These all look so nice! !